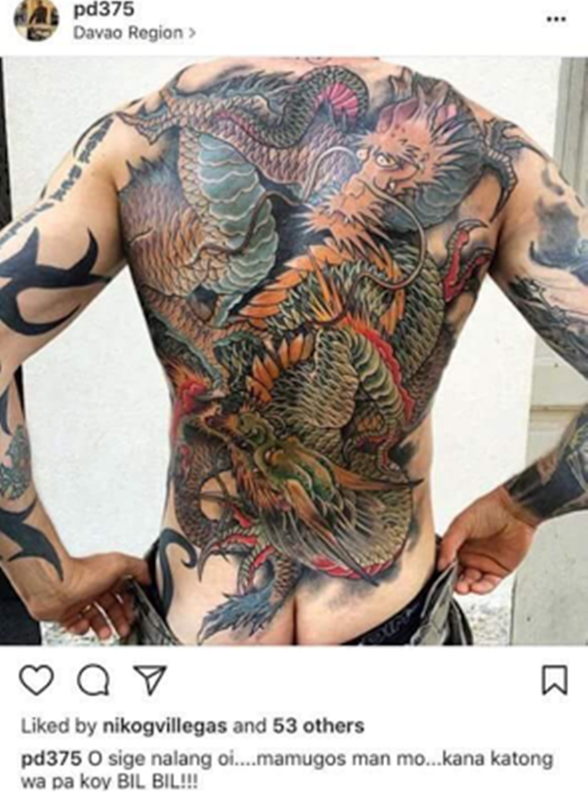 Davao City Vice Mayor Paolo Duterte has posted a full piece back tattoo of a dragon-like figure on his Instagram account, which wanted to see by Trillanes. 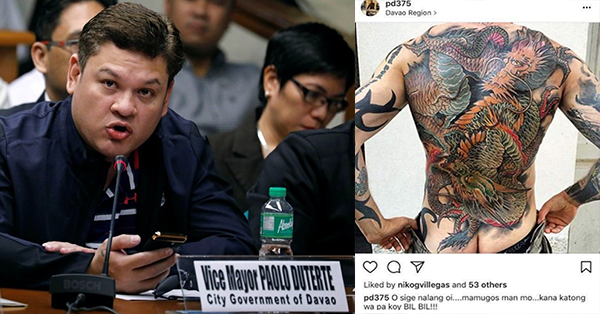 Previously, the presidential son Paolo Duterte and Senator Antonio “Sonny” Fuentes Trillanes IV has a sizzling confrontation regarding the alleged back tattoo of the vice mayor. Senator Trillanes also even asked the young Duterte to take his short off the Senate, but the latter declined to do so. He even concluded that Paolo’s back tattoo was colored and a dragon-like figure. “Yung tattoo mo sa likod, I can imagine, is colored and dragon-like figure, am I correct?,” Trillanes told the young Duterte. The lawmaker was also claiming that the tattoo at the back of Paolo is a proof of his alleged involvement in a Chinese transnational crime syndicate. 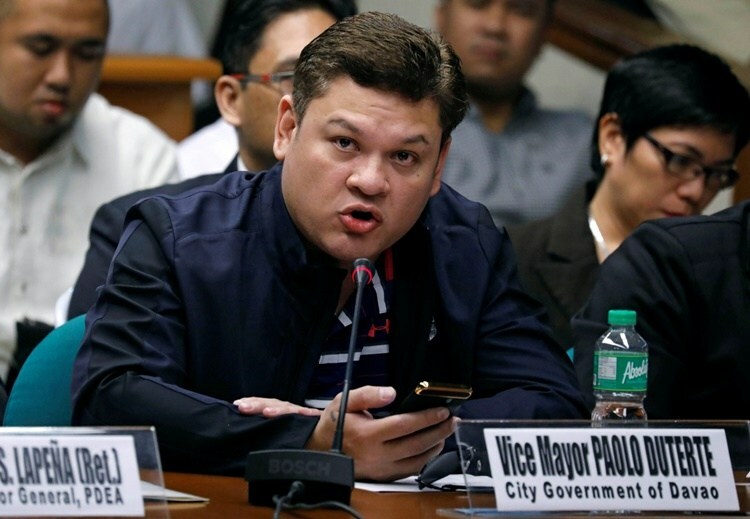 Presidential Communications Operation Office (PCOO) assistant secretary Mocha Uson has also defended Paolo Duterte from the criticism of Senator Trillanes and reposted the photo uploaded by the vice mayor.